On the other side there is an article I found after my kidney cancer. You can read that article in tomorrow’s post. On the other side there is an article I found after my kidney cancer. You can read that article in yesterday’s post. The real scripture turned out to be Psalm 116. I got very emotional while reading this and started crying when I got to verse 8 “For you, O LORD, have delivered my soul from death“. Others in the congregation who knew part of my story were very moved, too. This Psalm has come to have so much meaning in my life. 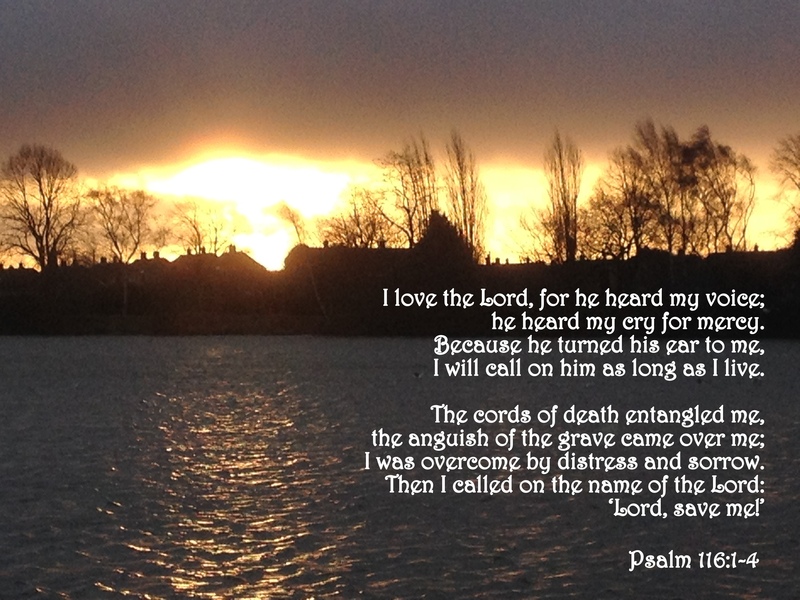 When I saw at a book called A Musician’s Book of Psalms each day had a different psalm. “My” psalm was listed as the reading for my birthday, so I had to buy this book! For a while, it was the license plate on my car.